Jerry Lalrinzuala was born on 30 July 1998 in Mizoram, India. He is an Indian professional footballer. He is a left back for Chennaiyin in the Indian Super League and the India national team. From the age of five Lalrinzuala has been playing football. His father was involved with football. Lalrinzuala was a actively involved with the AIFF Elite Academy and Bethlehem Vengthlang of the Mizoram Premier League before finalizing deal with Chennaiyin of the Indian Super League. He was one of five young footballers to be financially helped on their training period with FC Metz in France. He was included in the squad for the whole season. On 2nd of October 2016 he made his professional debut for Chennaiyin's in their opening match against Atlético de Kolkata. Lalrinzuala has been awarded the "Emerging Player of the Match" award On 13 October 2016 and the reason was Chennaiyin's 2–0 win over Goa. Lalrinzuala then assisted for the first time in his career on 23 October against Pune City which went for a 1–1 draw. the next match against Kerala Blasters was again a draw this time a 0–0 and he was again awarded the "Emerging Player of the Match" award. On 1 December 2016, Lalrinzuala scored his first professional goal for Chennaiyin's. It was a free-kick in the 4th minute of their match against Goa. The goal gave Lalrinzuala his fourth Emerging Player of the Match award for the season, even though Chennaiyin lost the match 5–4. On 18 December he was also awarded the ISL Emerging Player of the Season award after the ISL final. Lalrinzuala was loaned by DSK Shivajians for the I-League season on 20 December 2016. on 8th of January 2017 He made his debut for them in their opening match of the season against Mumbai at the Cooperage Ground. He got the Best Emerging Player of I-League award for his play in DSK. From the very start Lalrinzuala was a part of the India national youth set-up as he joined the AIFF Academies. In October 2012 he was part of the AIFF Regional Academy based in Kolkata. In July 2013 he was in the India U16 side of the 2013 SAFF U-16 Championship. 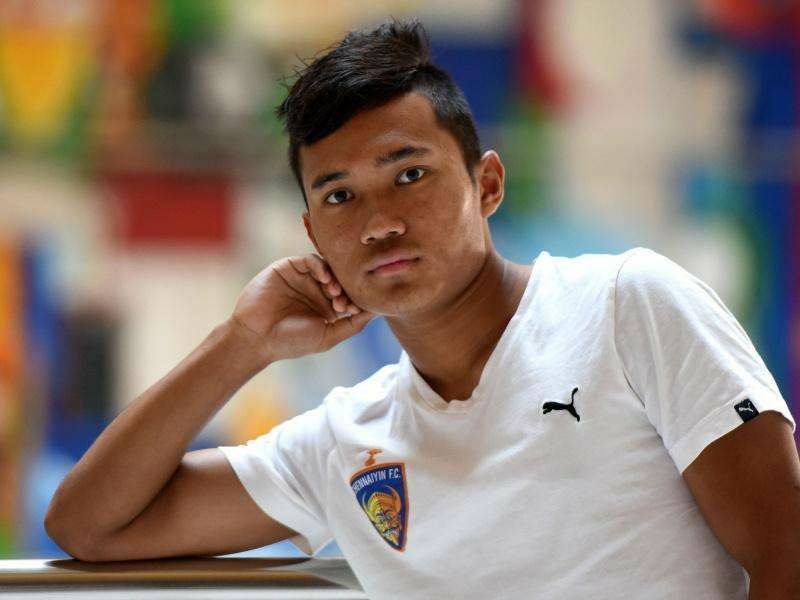 Lalrinzuala scored the only goal of the final match of the 2013 SAFF U-16 Championship against hosts Nepal on 30 July 2013 from 35-yards. And thus India won the championship. Lalrinzuala was thus selected in the India U16 side for the 2014 AFC U-16 Championship qualifiers. In August 2015, Lalrinzuala was called-up into the India U19 squad for participating in the inaugural SAFF U-19 Championship. India lost the championship against Nepal as they fell to 5–4 on penalties. Lalrinzuala made his senior international debut on 6 June 2017 when India played against Nepal in a friendly match held at the Mumbai Football Arena. This time India won 2–0.